It's thanks to a company's new tissue-growing implant. I rarely think about kidney failure, and when I do, it's almost always in the context of a charity appeal from my local hospital. 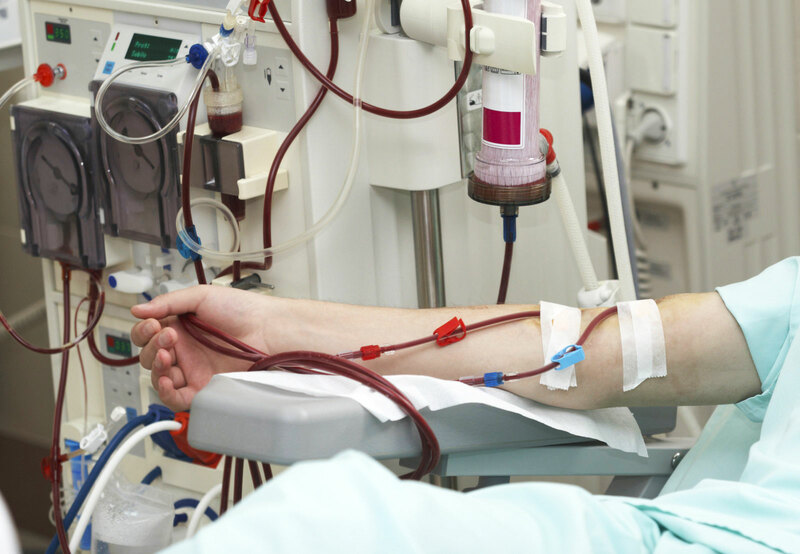 Dialysis machines are the primary way that people with kidney disorders survive until a donor organ can be found. Going to a hospital multiple times a week to have your blood cleaned never seemed like it was a fun way to spend one's time, either. But after talking to Aditlys CEO Silvére Lucquin, I learned these trips to the hospital are not the worst part of the process. Lucquin's company has been working on a polymer-based implant that can be wired into a person's blood vessels. The implant is, essentially, a hollow scaffold built from a new plastic polymer that encourages tissue growth. Once inserted into a person's veins, their own bodies begin growing a new blood vessel around the artificial one. The implant then dissolves after a couple of months. Leaving behind an entirely new link that can be connected up to a dialysis machine. The implant itself is harnessing a variety of doctrines, including electrospinning and supramolecular chemistry. These techniques have been married under the new process of endogenous tissue restoration which has been pioneered by a company called Xeltis. That company, however, has used the process to restore damaged heart valves, leaving Aditlys to experiment with its vascular implant. Our kidneys, you see, are filters that clear out the excess fluid and junk that lingers in our bloodstream, turning it into urine. If a person's kidneys shut down, then the bad stuff in their blood builds up, which can often be fatal. Until a transplant can take place, patients have to visit hospitals every few days to have their blood cleaned. That's where the dialysis machine comes in, which pulls blood out of a vessel, filters it and pushes it back into their bodies. In emergencies, that can be carried out using a catheter that's been inserted into a blood vessel, but that's not possible on a regular basis. Long-term dialysis users instead need to have a plastic tube implanted into their arm, either an arteriovenous graft or an arteriovenous fistula -- essentially an artificial junction. Regular veins simply can't cope with having thick needles shoved in on a biweekly basis and all that blood taken out. Not to mention that fistulas help improve the blood flow, making dialysis easier. But "when you leave plastic implants in the body," explained Lucquin, "they tend to occlude [block] quite easily." His research claims that these blockages take place around 50 percent of the time, often within the first year. That's not the only problem because, according to a paper out of Bayer College of Medicine, these implants are a hotbed of germs. Researchers George Nassar and Juan-Carlos Ayus say that the pipes have "repeatedly shown to be a risk factor for bacteremic and nonbacteremic infections." Worse still, even in a best-case scenario, fistulas fail in almost 40 percent of implantations for a variety of reasons. Even if it doesn't, they normally have to be replaced once every two years or so, and that means regular trips back to the vascular surgeon. Those patients, explained Lucquin, "after a decade of dialysis and all that decay, means that it's really complicated to find a clean place to put a new graft or fistula." Now, the hope is that with Aditlys' new device, many of these issues will go away and most patients will need only one implant. Or, at the very worst, a couple, but that's not something that Lucquin could comment on publicly. After all, things are at such an early stage that it's not clear if the theory and the practice really match up. But the CEO did point out that even if the vessels do fail, those failures won't nearly be as frequent as they are right now. Of course, it's going to be several years worth of clinical testing before the company can market the implant to patients. And it'll take a while before vascular surgeons decide to attempt to use the tool in place of what currently works. But if successful, some of the many additional pains that people with kidney failure have to deal with may be a thing of the past.